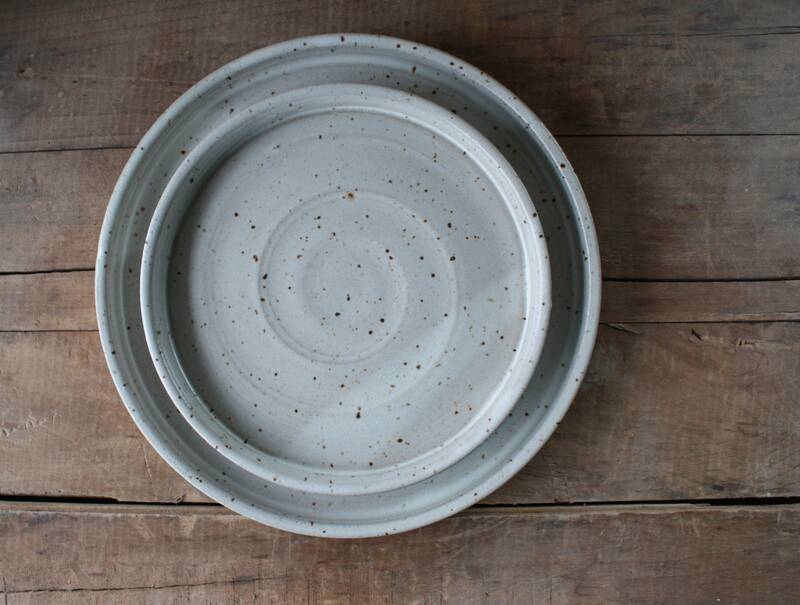 This listing is for ONE dinner plate & ONE salad unless the quantity is changed. 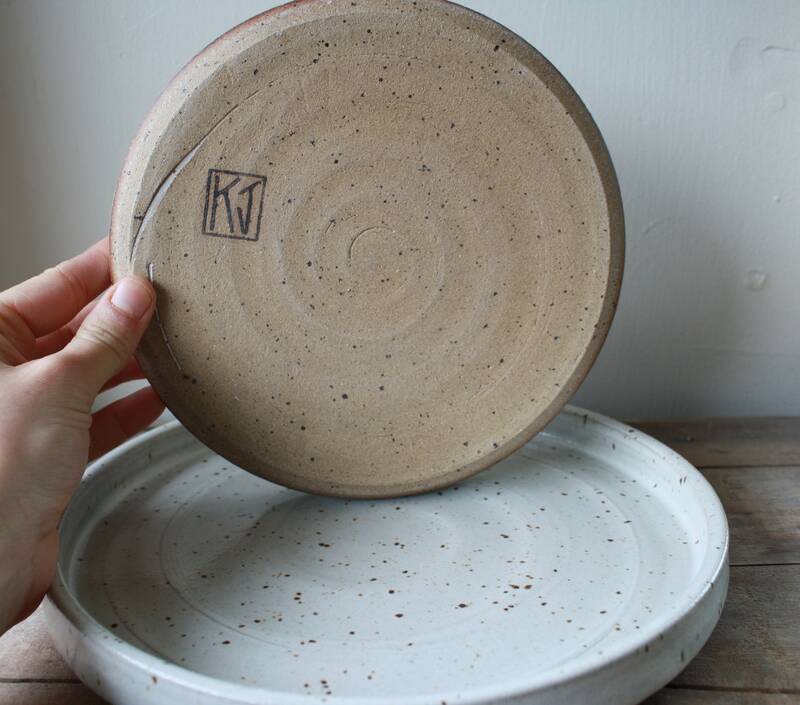 Plates are made from a iron red earthenware clay. 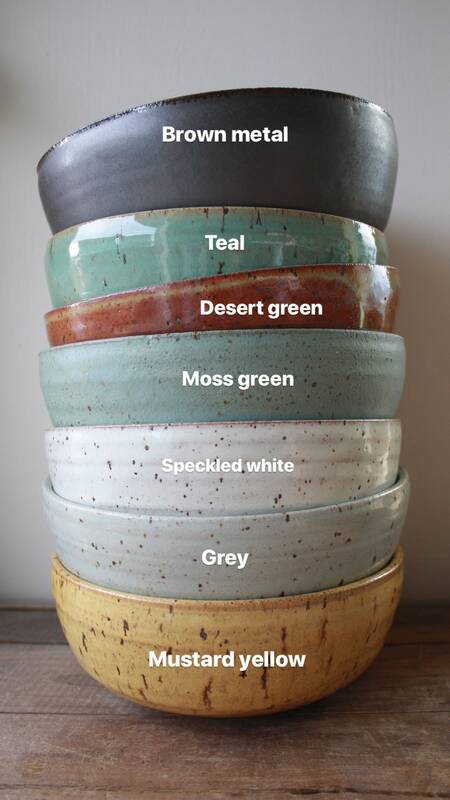 *You may choose from several glaze option: Speckled White (pictured in the listing) Matte Grey, Mustard Yellow, Teal, Moss Green, Smokey Blue, Matte Black, Sand, Walnut. 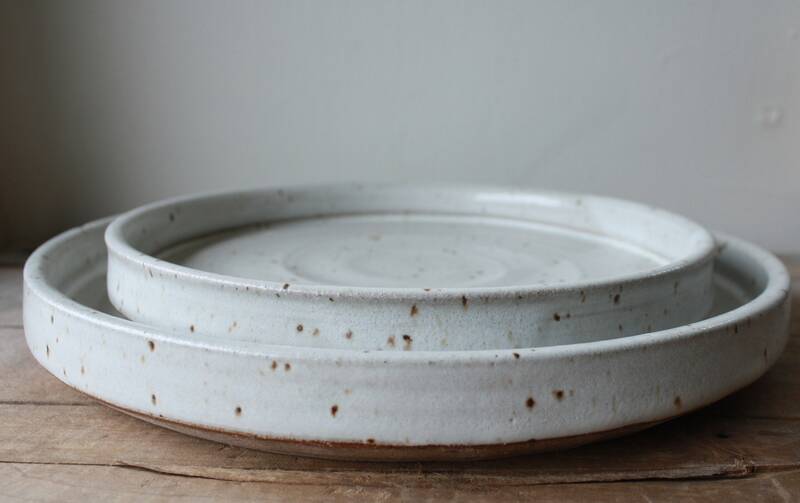 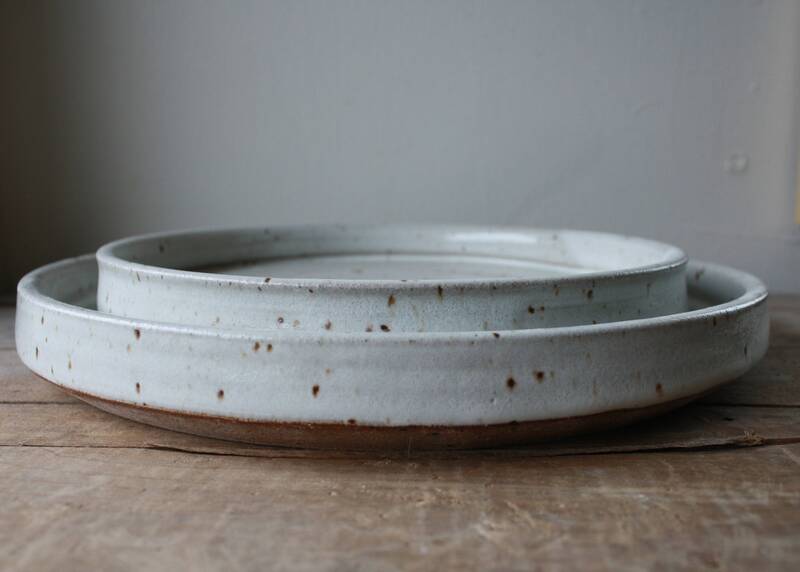 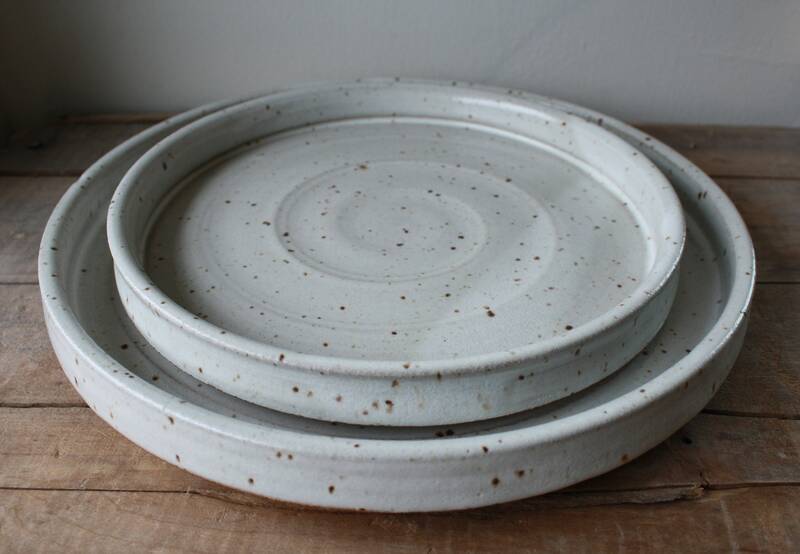 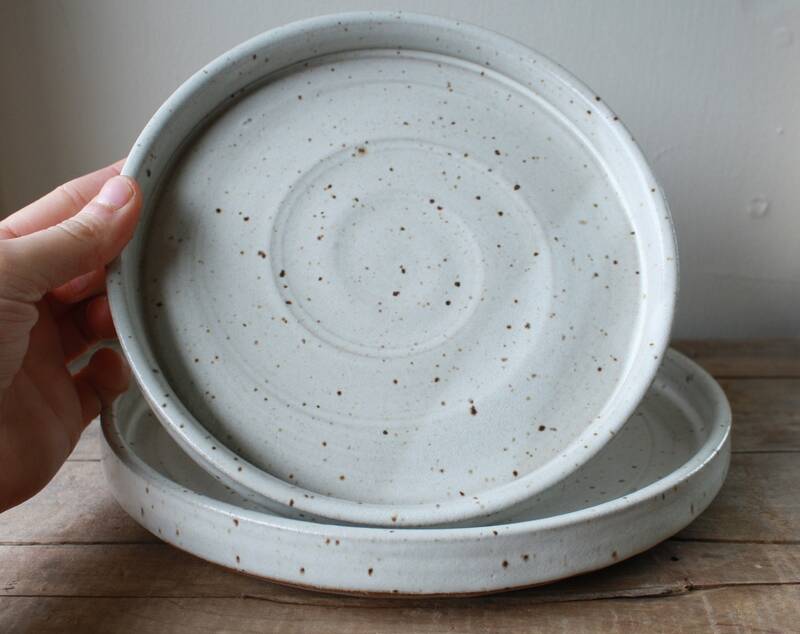 Dinner Plates measure approximately 10-11"
Salad Plates measure approximately 7-8"